Last month, I went to Seoul and Fukuoka for my winter vacation. Seoul was a trip that was decided at the last minute whereas Fukuoka was a place that I have been wanting to go as I wanted to catch Big Bang’s Special Final at the Yahoo! Dome. I really enjoyed this winter vacation! For one, I finally managed to go to the DMZ. During my first trip to South Korea back in 2009, I wasn’t able to go to the DMZ hence while preparing for the this trip, I had made careful consideration to set aside part of the itinerary to go there. There were lots of restrictions with regard to photo-taking due to security concerns. Here’s whatever little photos I was able to take with my S2. Above: One of the few photos which were allowed to be taken as the scene was one which faces the North. 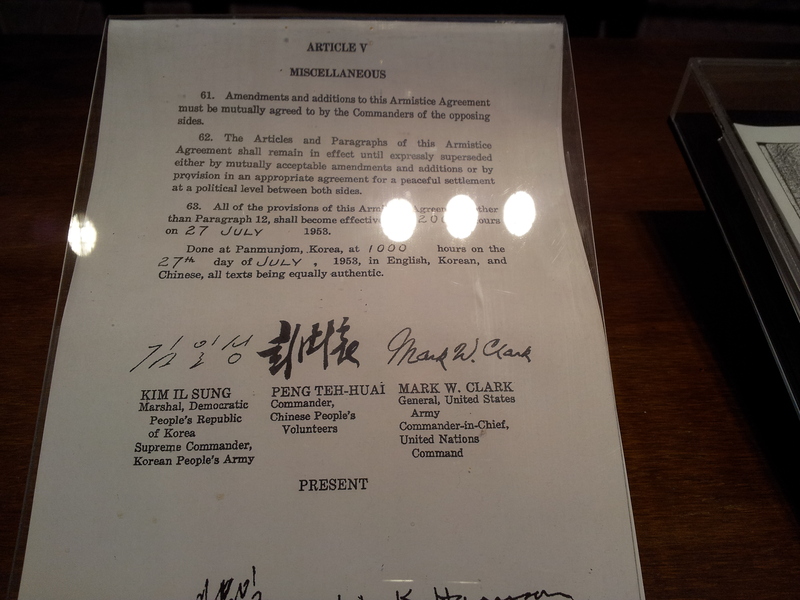 Above: An armistice agreement. I was actually in awe of the signatures. These are signatures of real people who played a role in the conflict! Above: Apparently, one side of the table resides the North and the other, the South. Talk about being at two places in one time! 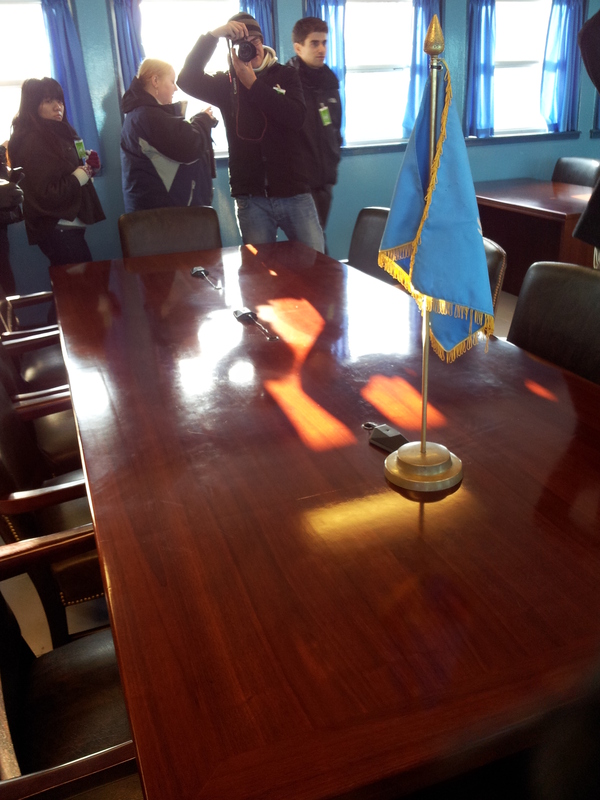 The DMZ trip will remain etched in my mind forever. Being that close to a place steeped in history and dogged with conflicts even till today would definitely be an experience that I’d never forget. 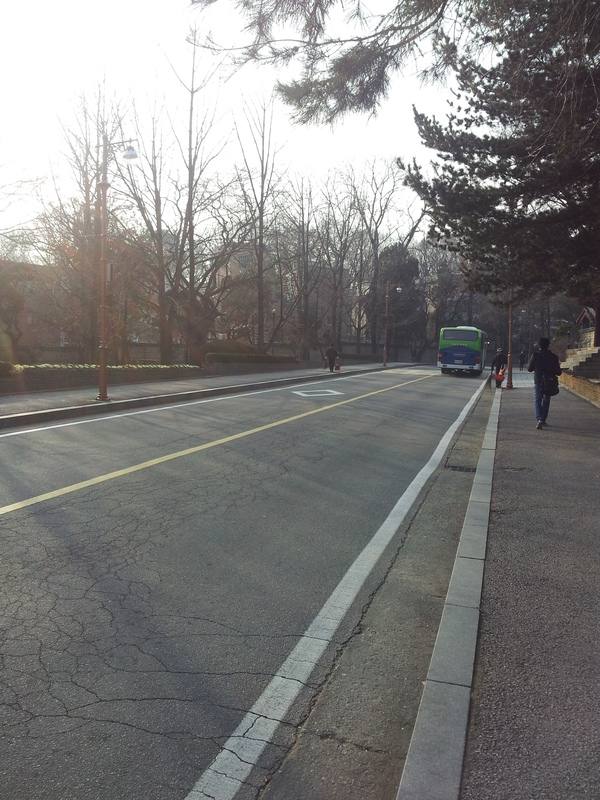 Besides that, we also checked out other parts of Seoul like Hongdae and even Sungkyunkwan University. As soon as I stepped foot on these places, I could sense the vibrant youth culture. It’s just amazing. The energy. The vibrancy. Above: The logo hung on the gates to the entrance of Sungkyunkwan University. This university has been around since 1398! It is a historical relic on its own. Above: The path from the gate to the different faculties situated inside the university itself. The students got to walk through such an amazing view everyday as they make their way to school. In the meantime, Fukuoka provides an entirely different aspect to my winter trip. ‘Serene’ is the word that comes to mind when I think of Fukuoka. Everything there seemed to slow down tremendously as compared to the hustle and bustle of Seoul. In essence, it is such a diametrically polemical city as opposed to Seoul. Two things I truly appreciated when I was in Fukuoka were this – the clean air and the much moderate winter (at that time, temperatures were about 5 to 10 degrees Celsius vs Seoul’s -10 to -13 degrees Celsius). 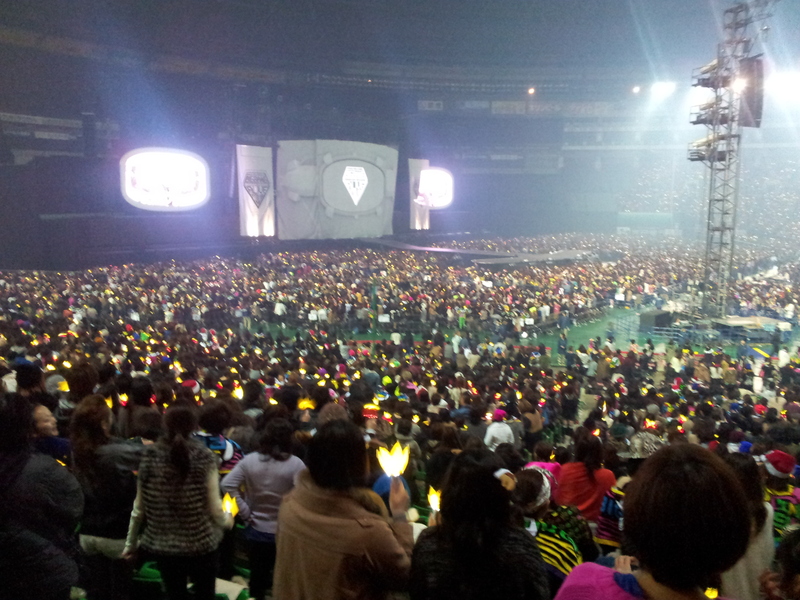 The highlight of that trip was of course the Big Bang concert which was held at the Yahoo! Dome (though I think the venue itself could somewhat be deemed as a highlight itself). I’ve read about the Yahoo! Dome before and repetitive mentions of its size had piqued my curiosity. I’d always wondered whether the place lived up to its hype in terms of vastness and therefore to finally see and be inside the massive Yahoo! Dome myself was an eye-opener. I’ve never been in an enclosure that could accommodate more than 50000 people! 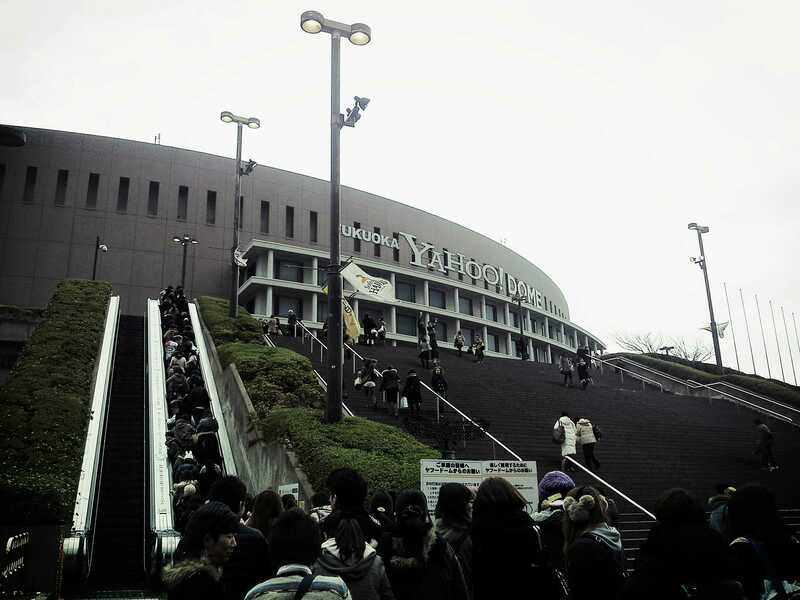 Above: A small segment of the concert venue. Imagine this number of people times 7 (even 10) and that’s the total number of people gathered in one place. The concert at Yahoo! Dome was the second Big Bang concert I’d attended and it was definitely as great as the first one. This group really emits talent. Looking at them rally the concert-goers and giving their all, I can’t help wondering what it would feel to be in that position. While my job entails rallying my audience and getting them to be engaged to whatever I’m saying and doing, it’s on an entirely different level from theirs. I have only thing from this trip which I really regretted not being able to do due to the lack of time: visiting the Kyushu University. Regardless, it was a great trip. Looking forward to being able to see more of this world. Soon! Categories: Japan, South Korea, Travels | Tags: Travels | Permalink. I went on my second trip to Japan during this summer vacation. It was supposed to be summer in Japan and hence imagine how taken aback I was when I realized that the temperatures were relatively cooler than I had expected (and I had packed solely light clothes in anticipation of warm temperatures). The irony is that I’m a geographer and hence climatic facts like summer temperature and rainfall patterns of temperate countries should be at the back of my mind. However all thoughts about Japan’s climatic patterns were completely forgotten in the excitement to get away from work for more than a week and to bring the whole family to a country where they have never been before. Regardless, the cool summer there was such a welcome respite from the warm tropical climate here that it makes me seriously think about moving to and working in a country with a temperate climate. The climate and weather in Japan aside, I find that it’s good to be back in Japan again. It’s really heart warming to be in a society that respects and appreciates nature. Everywhere I turn, I see that nature has been preserved and conserved in one way or another as much as possible despite the process of development that Japan underwent to be the developed country it is today. Additionally, the beautiful scenery of mountains, rivers and greenery that I encounter was certainly a feast to the eyes. 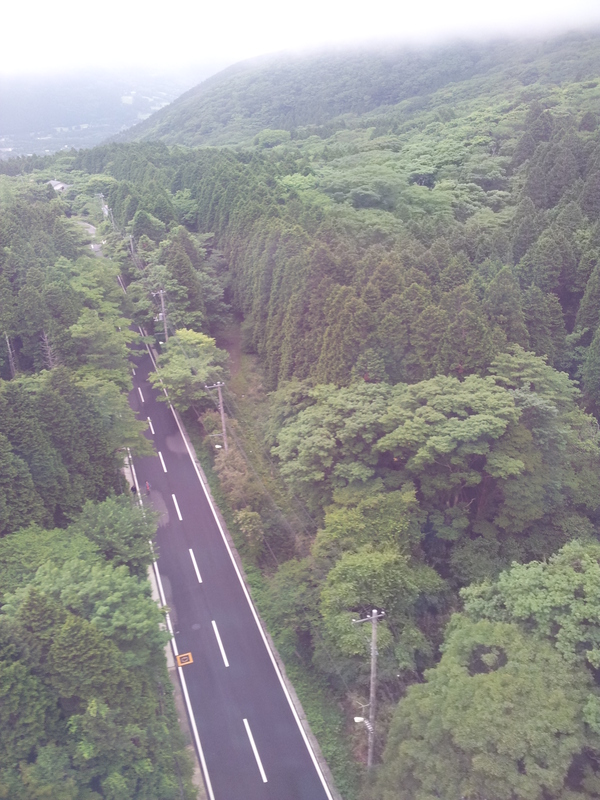 Though we stayed in highly-urbanized Tokyo most of the time, the overnight trips we took to nearby Hakone and Nikko had allowed us to immerse ourselves into nature and appreciate the miracles of God’s creations. The following are what little photo I managed to take with my S2. 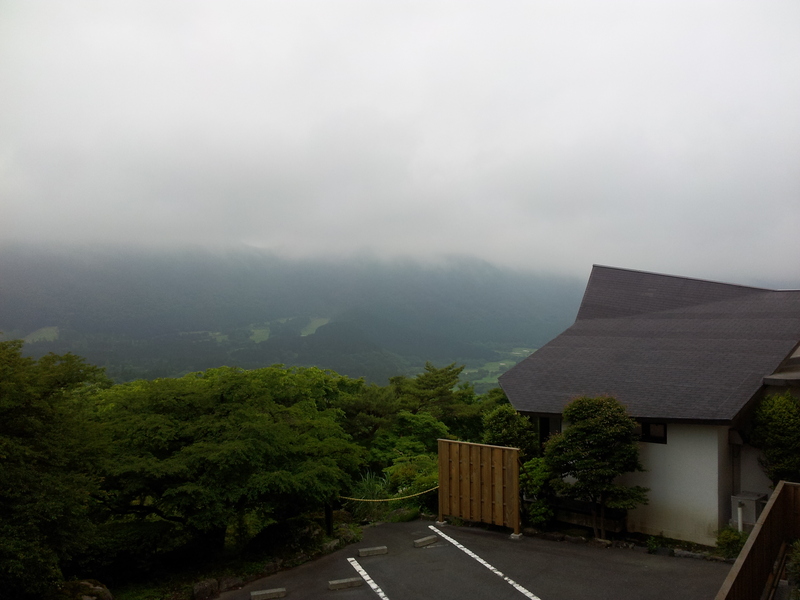 Above: Morning view from the ryokan we stayed in. Unfortunately, the view of Mt Fuji was obscured by the thick clouds. 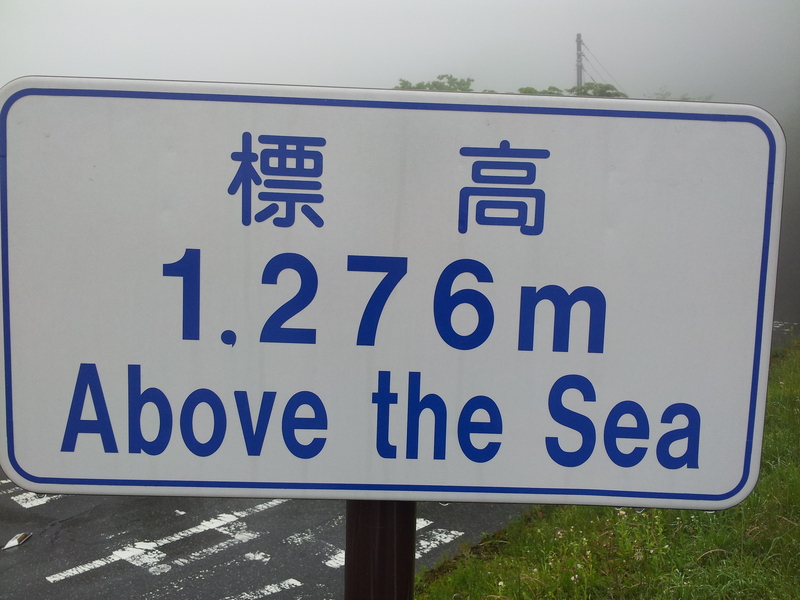 Above: We (actually only Dad) drove the long-winding narrow road to a height of 1276m above sea level in Nikko. The plan was to drive even further up to check out the springs however the heavy fog due to the rain which had developed made driving pretty unsafe. Hence after taking a photo at this signboard, we headed back to our inn which was located beside JR Tobu Station. Our time in Nikko was dotted with rain which made going around a challenge even with a car at our disposal. We had planned to visit the spring (I’ve forgotten its name) and the Tokugawa shrine as soon as we arrived in Nikko but had to give it a miss due to the rain. 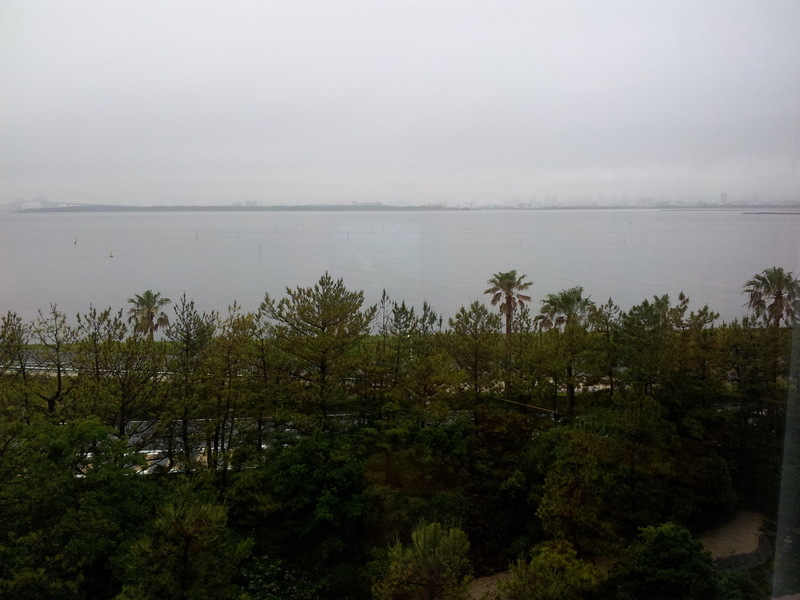 The rain continued till the next day so we decided to head back to Tokyo in the morning as planned. 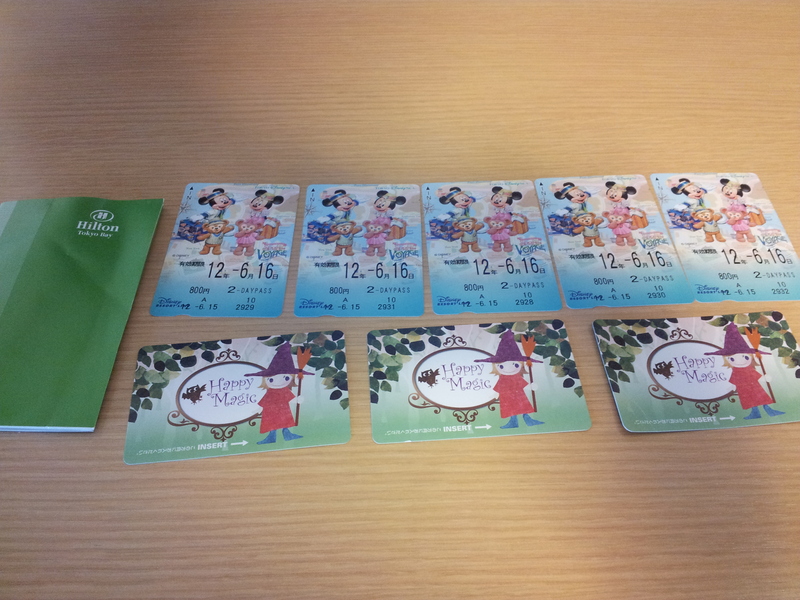 During our last two days in Tokyo, we checked ourselves into one of the Disney hotels in the Tokyo Bay area. The initial plan was to spend our last two days in Disneyland. However upon our arrival there, all of us realized that there were still places in Tokyo we wanted to go to. Younger brother 1 wanted to explore Shibuya and Asakusa further; Younger brother 2 wanted to explore Shibuya and Shinjuku even further (even though we had stayed in Shinjuku for the past few days, it apparently still wasn’t enough); I wanted to make my way to Saitama to check out the Saitama Super Arena. The parents were the only one who didn’t desire to check out anymore places and were content to follow anyone of us wherever we go. Hence technically, our stay in a Disney Hotel had nothing to do with Disneyland. Above: The view of the bay from our room. Unfortunately, my S2 didn’t do justice to the otherwise magnificent view of the bay. This was the first trip to a place so far away from home and for an extended period of time that the five of us went to together as a family. I’m glad that I urged the family to go on this trip and truly hope that they have enjoyed and learned from it as much as I did! This Japan trip was such an awesome one! 🙂 Alhamdulillah. I am looking forward to my next trip which will take place at the end of the year, insyaAllah. Categories: Family, Japan, Travels | Tags: Japan | Permalink.